As a result, Keystone Homes has built a lot of Prairie and Victorian style homes. Over fifty Keystone Homes grace the lakes of Northeast Indiana and Southern Michigan. Backing up Mike are three well respected Northeast Indiana architects, and a team of the best home building craftsmen available. “We go back 25 years with some of these companies and the average is 10 to 15 years,” says Mike. “We enjoy a team approach with our subcontractors, and that’s good for the home builder because it helps tie every part of the house together. 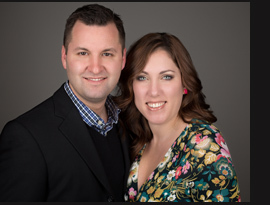 As natives to Fort Wayne, Tim and Sara have an extensive knowledge of the Fort Wayne real estate market. Tim’s expertise with contracts and disclosures, alongside with his negotiation skills and pricing strategy, always exceeds his clients’ expectations. Sara’s background in interior design and love of photography makes her an unparalleled asset when marketing your home. They have a desire to help every client find their dream home and are always on the lookout for Fort Wayne’s best hidden treasures. Tim and Sara find it most important to provide incomparable customer service. They advocate for their clients and always follow through to their complete satisfaction. Without hesitation, they go above and beyond for their clients and are known for unparalleled customer care. 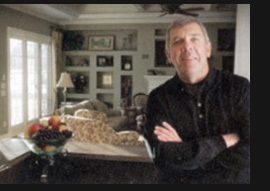 They provide real estate services to home buyers and sellers in the Fort Wayne area. Both Tim and Sara bring commitment, competency and compassion to the Real Estate world. They’re confident they’ll get the job done for you! Contact Tim & Sara today to see how they can help you with your real estate needs!